Hide deals from seller "Los Posadas Mexican Restaurant"
Limit 1 per person. Valid on a 3-taco dinner and 16-ounce horchata. Dine-in or carryout. Promotional value expires 90 days after purchase. 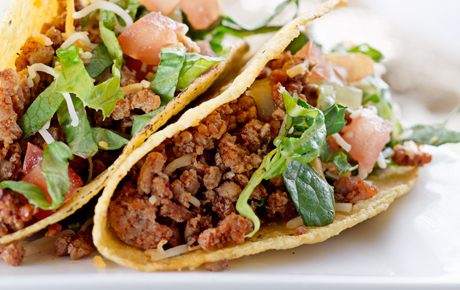 Delight in the flavors of Mexico with 18% off a taco dinner at Los Posadas Mexican Restaurant in Prospect Heights ($11 value). This delicious meal comes with your choice of steak, chicken or pork tacos, and it includes rice and beans. Top off your tacos with lettuce, tomato, avocado and sour cream, and wash everything down with a refreshing 16-ounce horchata. This authentic Mexican restaurant has been serving generations-old recipes for more than eight years. Owners Sergio and Maria treat each guest like family, adding to the charm of this delightful restaurant. While you’re there, check out the popular “futbolritto,” a perfect meal for anyone with a large appetite. The fresh and delicious food combined with down-home service and quaint ambience makes this hotspot a local favorite. Restaurant in Prospect Heights serving fresh and authentic Mexican food.